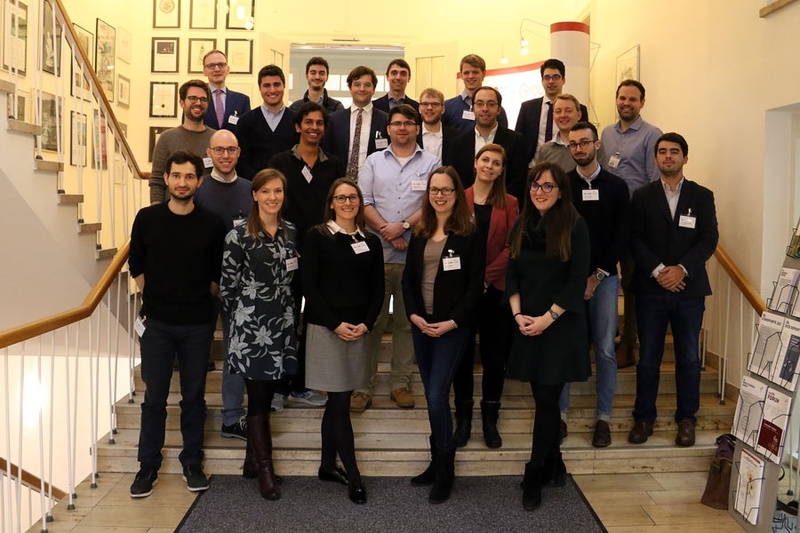 The first CESifo EconPol Europe PhD Workshop for current and recent doctoral students took place at the ifo Institute in Munich, Germany on 1–2 February, 2018. EconPol Europe – The European Network for Economic and Fiscal Policy Research is a unique collaboration of nine policy-oriented university and non-university research institutes that will contribute their expertise to the discussion of the future design of the European Union. The aim of this this two-day workshop was to bring together PhD students whose research focuses on economic and fiscal policy issues in the European context and strengthen the collaboration between EconPol network members. Participants were given the opportunity to present their work, and to interact with, and have their research discussed by senior researchers from the different network partners. 11:15 - 11:45 The Sovereign-Bank Feedback Loop: Did European Policies Alleviate It? 09:00 - 9:30 Drivers of Participation Elasticities across Europe: Gender or Earner Role within the Household? 13:30 - 14:00 Fiscal Federalism and Tax Competition: A Double-Edged Sword?